One day in 2014, I woke up to a very slight fine line smack in the middle of my forehead. I almost collapsed! Yes I was almost 34 at the time but in my mind, I wasn’t expecting any of those ageing signs till I was well in my 40s or even 50s. Something had to be done and I quickly started reading more about anti-ageing products. 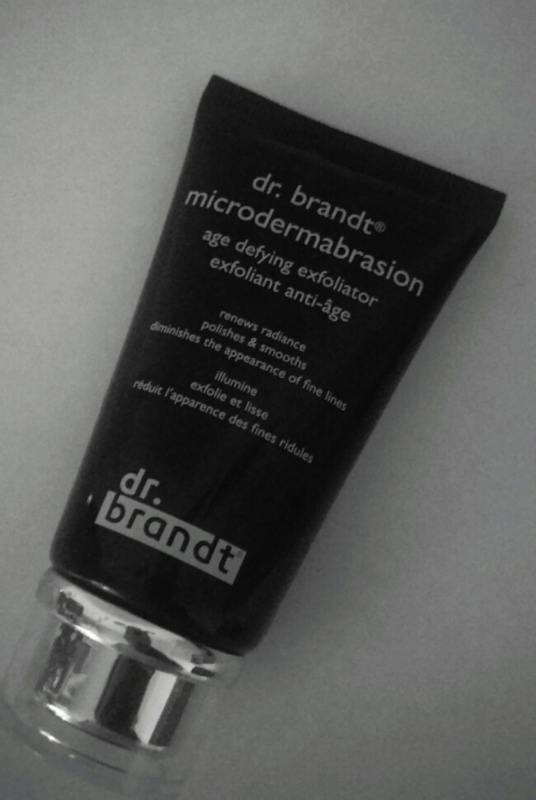 I have tried a few and the dr. brandt Microdermabrasion Age-Defying Exfoliator * is one of those that actually work to keep those lines at bay. It is quite expensive but I decided to close my eyes and just get it (€81.95) in a Sephora store in Paris. I use it once a week on my forehead (scrubbing for about 2 minutes only) and for now, the lines are ever so slight: I have to look very very closely. I do notice that if I skip a week, the lines gradually start coming back. This makes me think that they won’t work as well for established lines. I think I was able to catch them early. What are your favourite anti-ageing products?